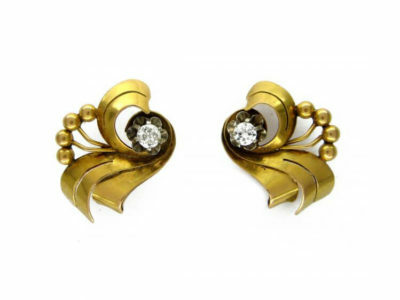 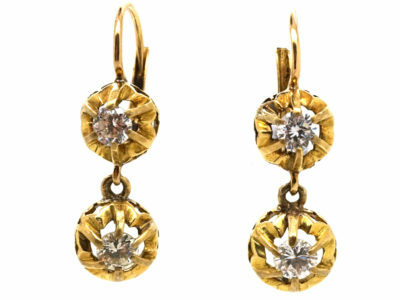 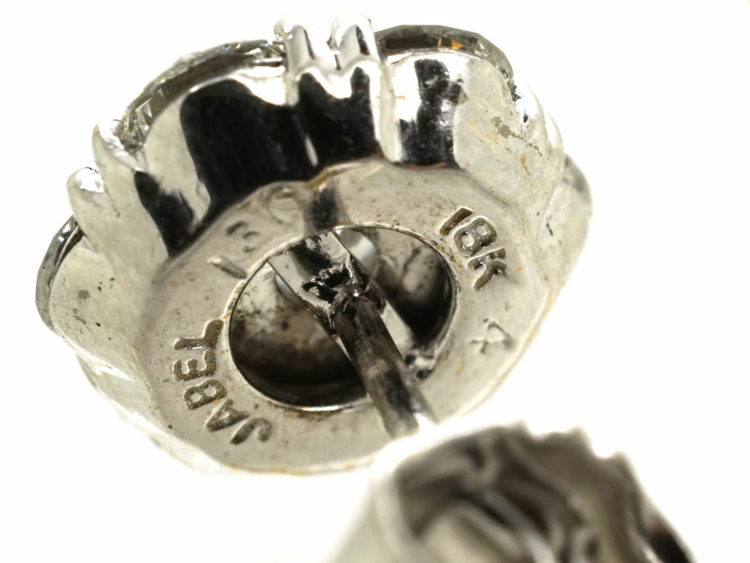 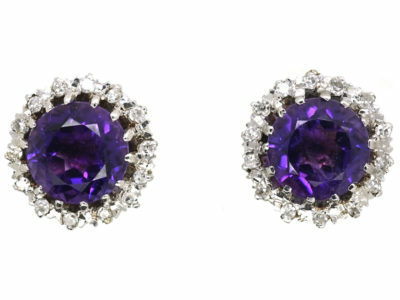 Jabel have been making top class fine jewellery since 1916 in New Jersey, America. 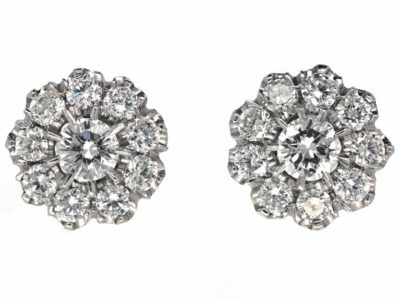 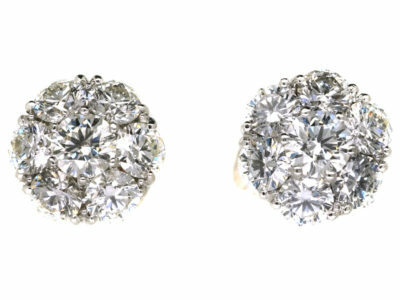 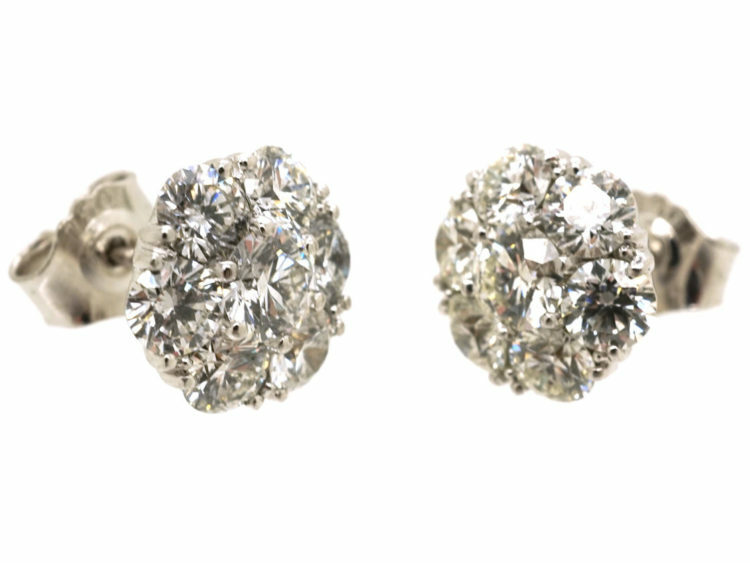 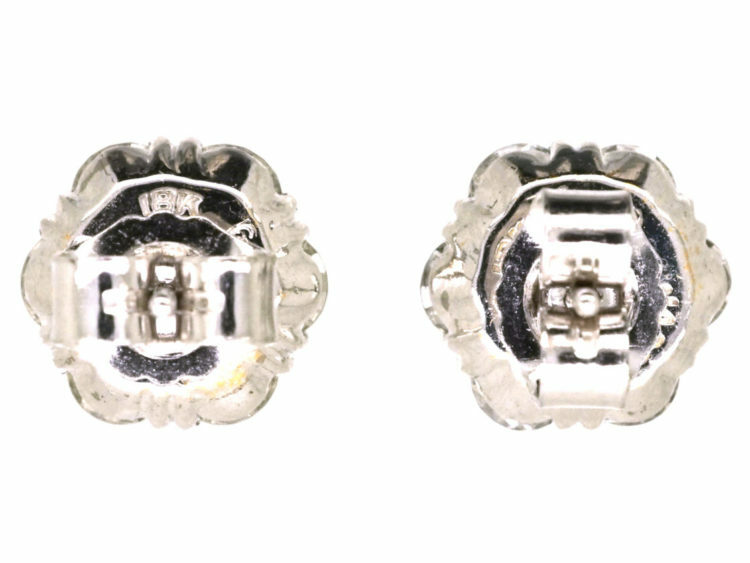 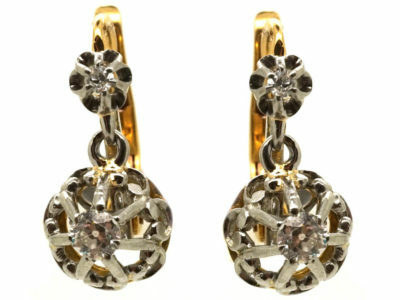 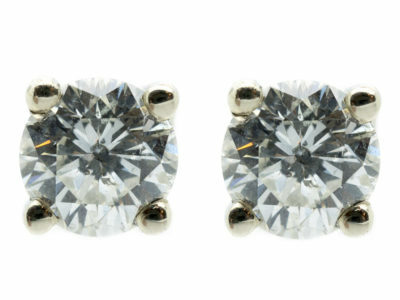 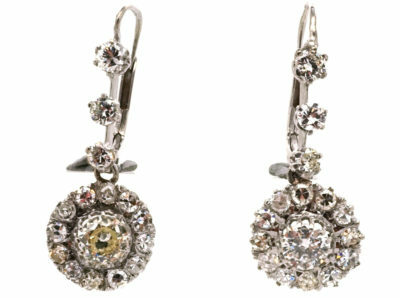 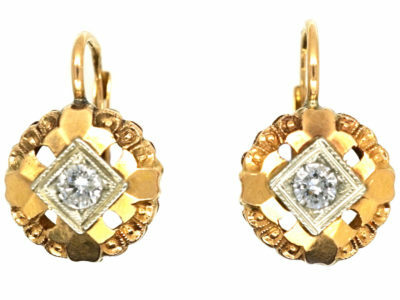 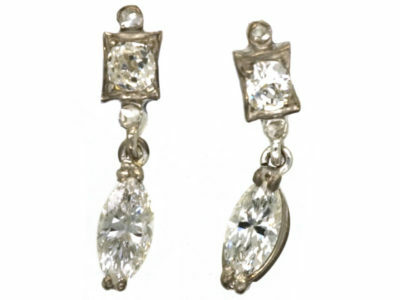 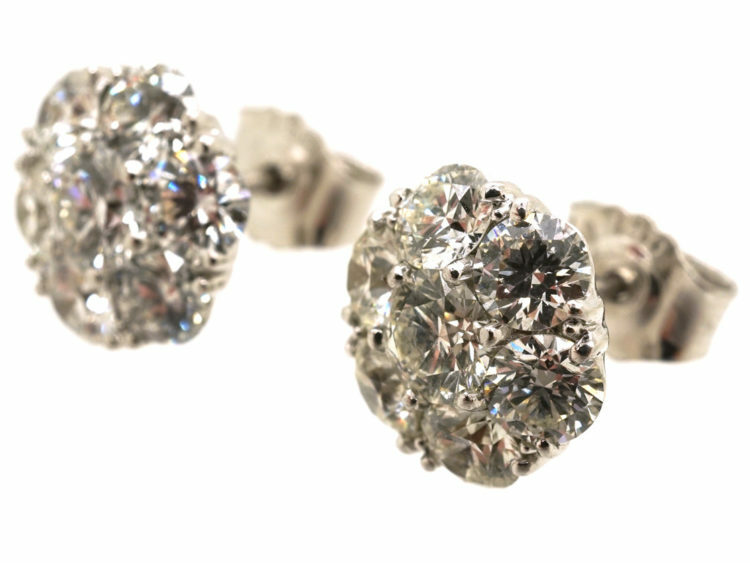 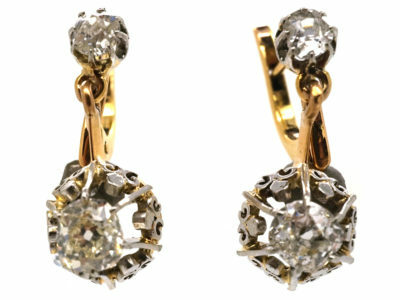 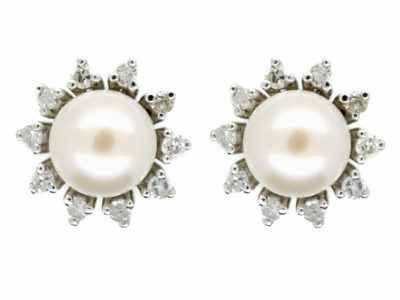 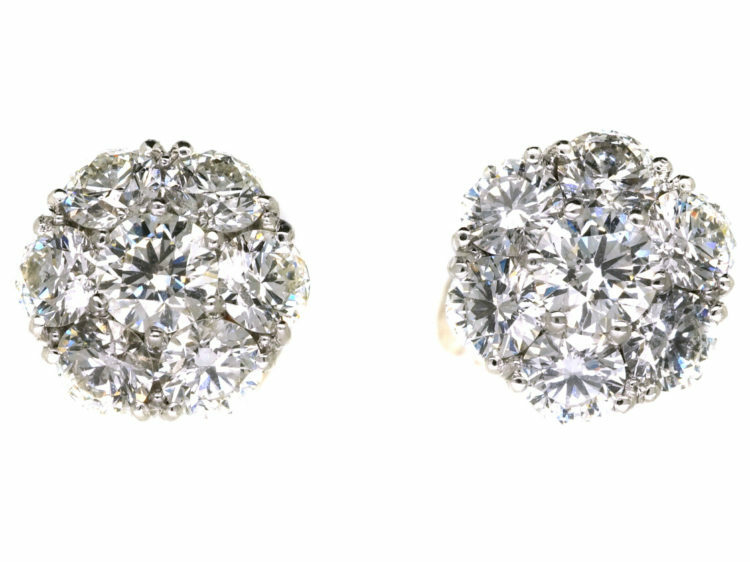 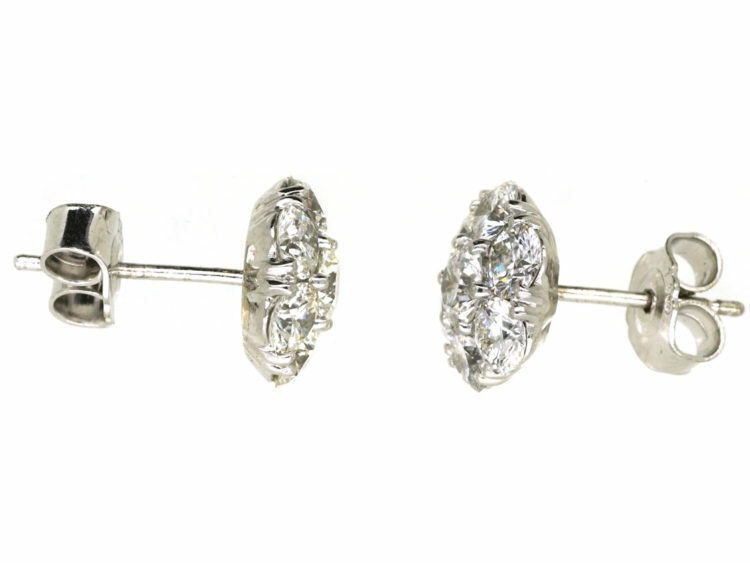 This pair of 18ct white gold earrings is a great example of their work using very white diamonds that are closely set. 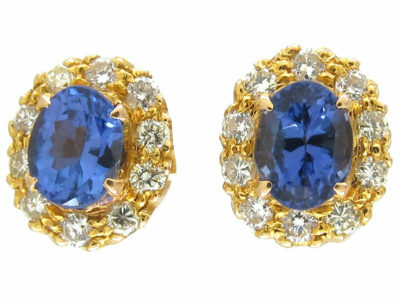 They look amazing when worn as they sit low on the ear.